Fitbit’s trademarks signify Fitbit’s high quality products and services, and they are valuable assets of the company. The following is a list of Fitbit’s trademarks and registered trademarks in the United States and certain other countries. You may only use our trademarks with written permission and must do so in accordance with our Trademark Policy at www.fitbit.com/legal/trademark-policy and any brand guidelines we may publish. The trademark symbols included in the below list are for the US only; different rules apply for international use. 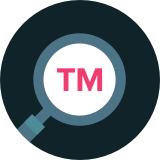 Our trademark list also includes a suggested generic term for some trademarks. As noted in our Trademark Policy, you should include an appropriate generic term whenever you use a trademark (e.g., Wear your Fitbit® tracker daily.). Please note that this list is not exhaustive and the absence of any mark from this list does not mean that it is not trademark of Fitbit, Inc. or its affiliates. Fitbit® trackers, wristbands, scales, etc.